THE next wellbeing drop-in session at Moretonhampstead Hospital has been rescheduled. The event was due to take place on Tuesday February 24 but instead is now happening on Thursday March 12. The session, from 10am to 1pm, will focus on falls prevention and safety at home. 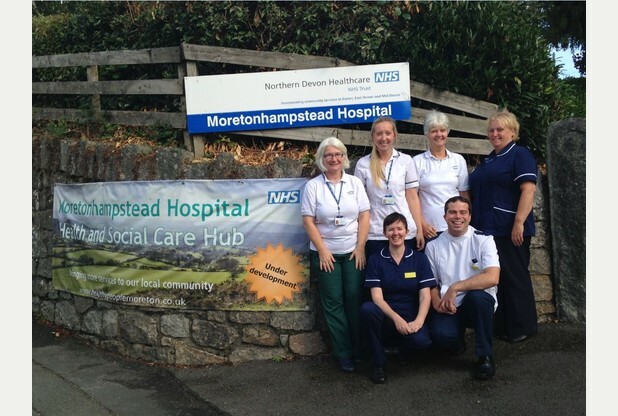 Visitors will benefit from a range of advice and assistance from the Moretonhampstead community nursing and therapy team and the Independent Living Centre, both managed by the Northern Devon Healthcare NHS Trust. Physiotherapists will be offering balance tests and exercise advice while nurses will be giving basic health checks, to cover blood pressure, diabetes and oxygen levels. Occupational therapists will be on hand to provide individual advice about changing the home environment to reduce the risk of falling. Staff from the Independent Living Centre, based in Newton Abbot, will be giving advice on telecare equipment, including sensors which let carers know when someone who is at risk of falling and out of sight has moved position. At 11am there will be a talk on safety in the home from an occupational therapist. Due to the date change, the session due to take place on Tuesday 24 March has also been put back. It will now take place in April, on a date to be confirmed, and will have a focus on diabetes. NextThe March/April issue of The OT Magazine is out now!